More governments should ban useless programs and save students money. Multiple lessons here. One of which being that if you want the government to give you free education, THEY are the ones deciding what you should and shouldn't be learning based on their own ideas of what benefits the society. Excellent comment and I would like to add to what you said...Being that the American government is now largely controlled by corporations who are in the business of manipulation for profit and control. 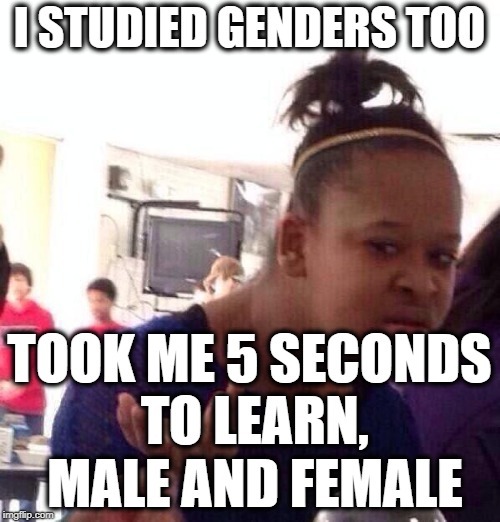 Colleges that have gender studies and ethnic studies courses that allow "radical theories" to be pushed on the minds of it's young and impressionable students are promoting misinformation not based on actual science and are trying to cause mass confusion and chaos among all of us. So they should restrict viewpoints because they "confuse" people. That corporations have to do with it is a huge leap too. I'm guessing you don't consider Biblical Studies "misinformation?" Yet if the government banned the study of something you deemed important, you would be complaining. They already pay when they go to a public university. It's not free. because this is what people say when I complain about something in America. Usually the magats. 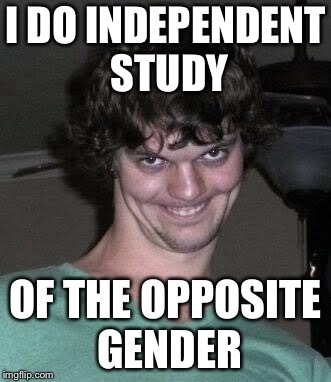 There is nothing wrong with a course on Gender studies or ethnic studies. The problem is that the teachers that are being allowed to teach many of these courses are teaching radical theories not based on science. Theories can be good but these professors are teaching nonsense and they're teaching them as if their "ideas" are indisputable facts. This is dangerous. Dangerous is exposure to different viewpoints. Claiming your views are facts is how free speech and persuasion work. It isn't uncommon at all. But with a caveat: it is apparently legislation introduced by their prime minister, not a done deal yet. OMG, your right. 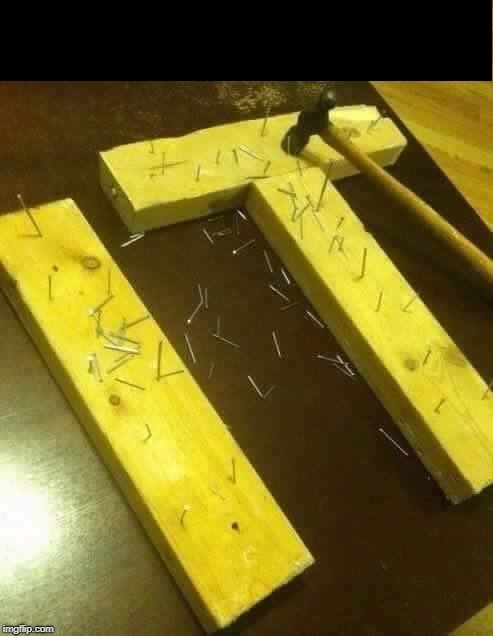 Maybe they will have to get a real job. Great meme!! I'm using this thanks so much!! 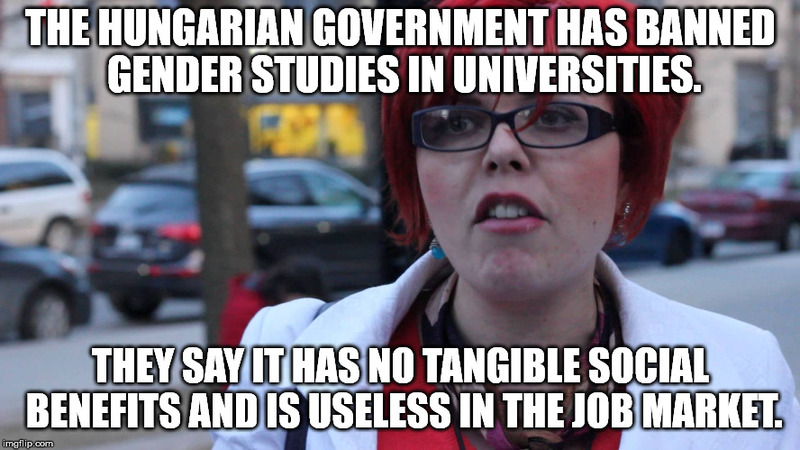 THE HUNGARIAN GOVERNMENT HAS BANNED GENDER STUDIES IN UNIVERSITIES. THEY SAY IT HAS NO TANGIBLE SOCIAL BENEFITS AND IS USELESS IN THE JOB MARKET.